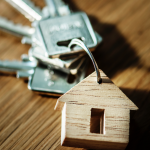 The International Builders’ Show® (IBS) is the largest annual light construction show in the world, every year attracting 60,000 visitors from 100 countries. IBS brings together more than 1,500 top manufacturers and suppliers from around the globe showcasing the latest and most in-demand products and services. 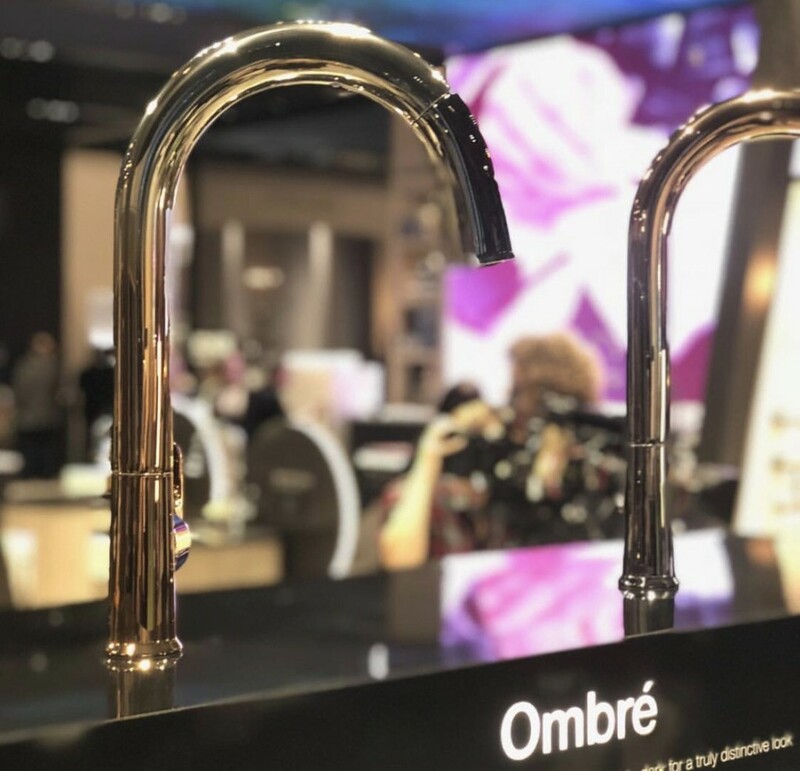 Here are the products that had everyone talking on the showroom floor this year. 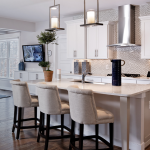 The hottest finish for kitchen and baths this year is brushed gold and matte black. 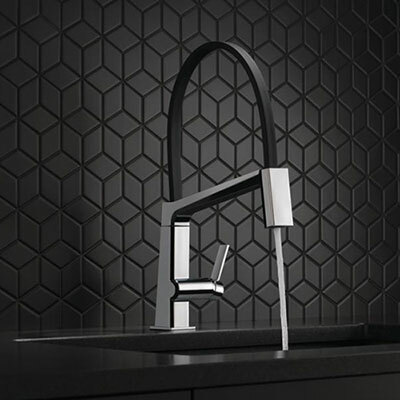 These finishes are being applied to contemporary, transitional and traditional faucet styles. A contemporary styling with exposed hose for a striking new approach. 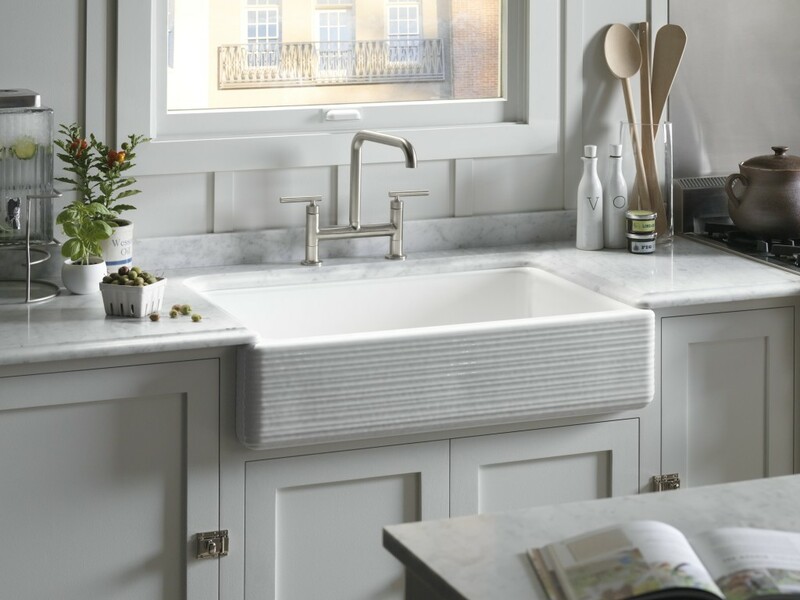 No surprise that farmhouse sinks were seen all over the showroom floor, however, they’re now seen in more finishes such as fire clay and distressed granite. Kohler’s version allows for an apron overhang that fits over the cabinet lip with no cutting into cabinetry. A digital shower that can be operated through voice, phone, and controller. Moen has partnered with Amazon to turn on your shower and set temperature using Alexa. 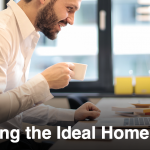 We are getting closer to a fully connected smart home. Larger scaled front doors for greater style impact. 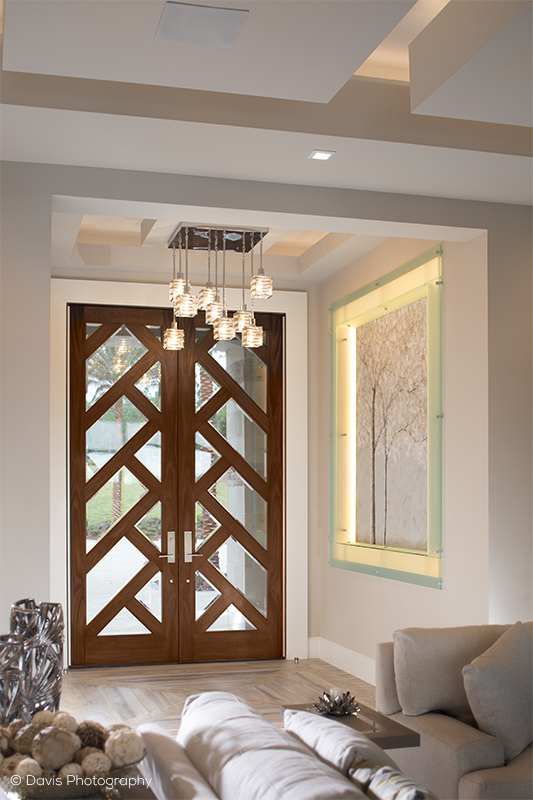 This modern design by Simpson Door Company was displayed at The New American Home and demonstrates a more interesting way to let light in. Not your typical chandeliers. Maxim Lighting introduced the LED “fandelier” and the LED “bracelet”. 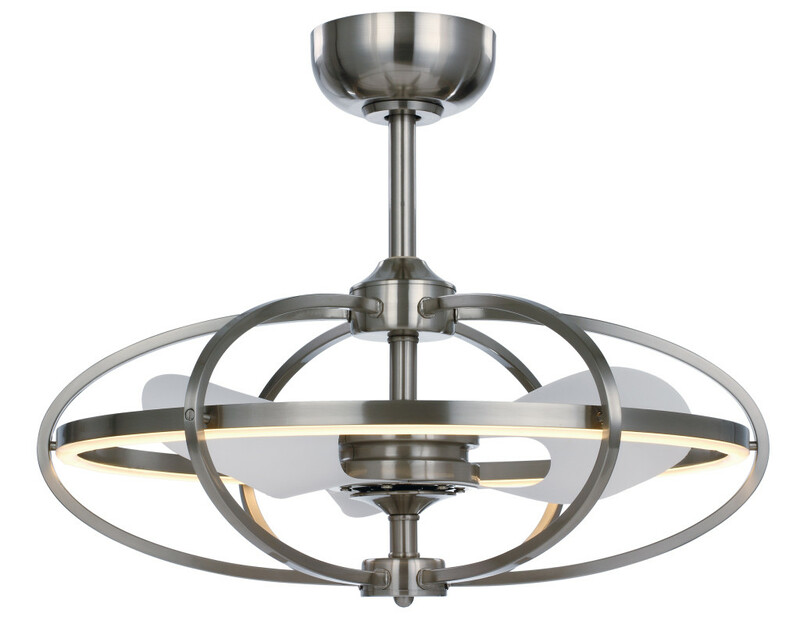 Ceiling fan function and art incorporated beautifully into these light fixtures. Introduction of many new styles of electric fireplaces including Modern Flames “Fusion Fire” with steam technology to simulate a more realistic flame. 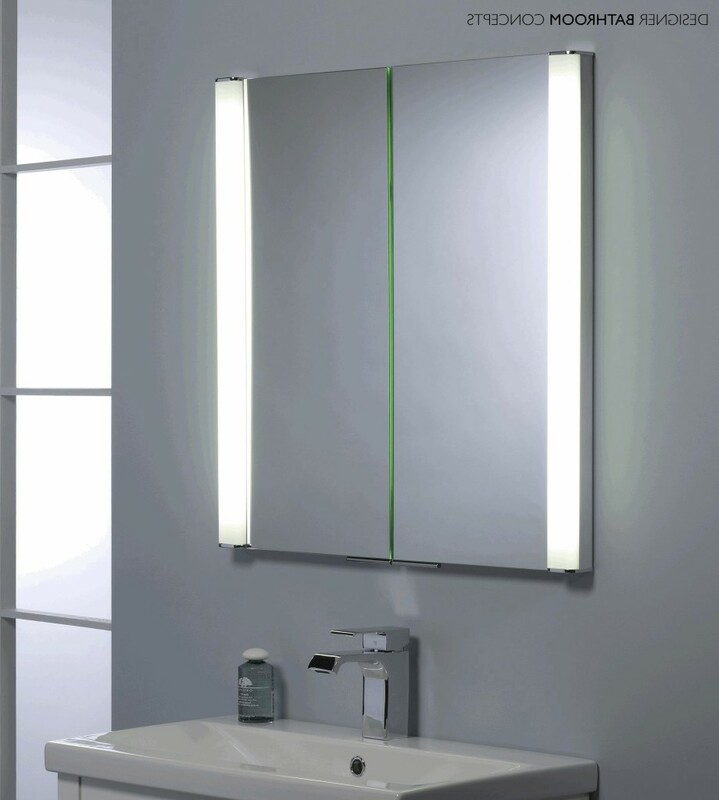 Vanity mirrors have now become a 3-in-1 product; a large mirror, LED light, and medicine cabinet. We have seen Ombré everywhere in the design world. 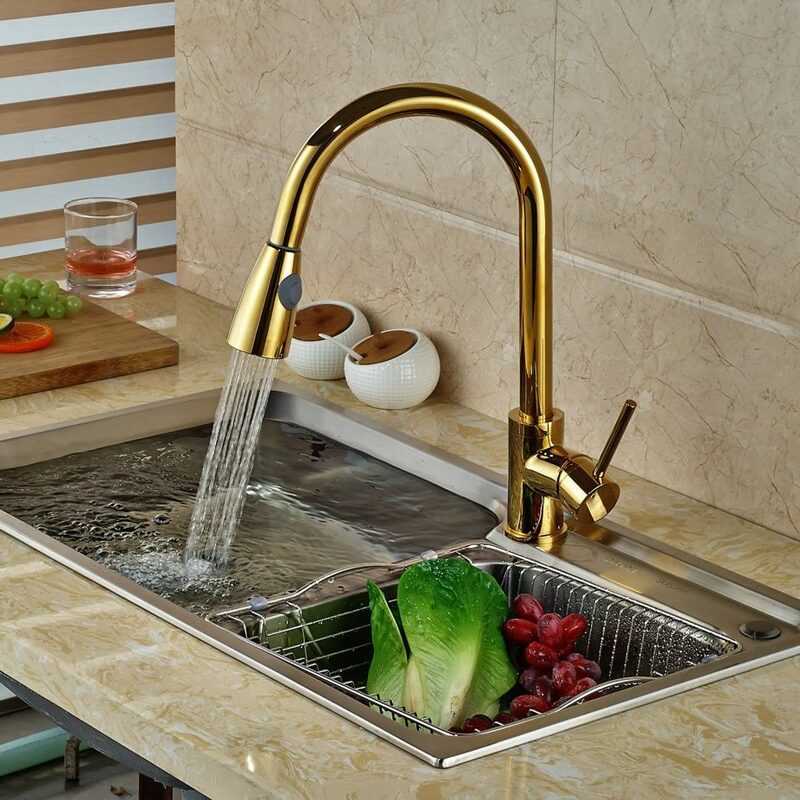 Now mixed-finish faucets are taking the stage. 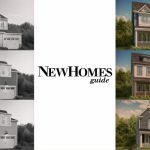 Content by: Interior Concepts, Inc., an award-winning full service design firm based in Annapolis, MD.